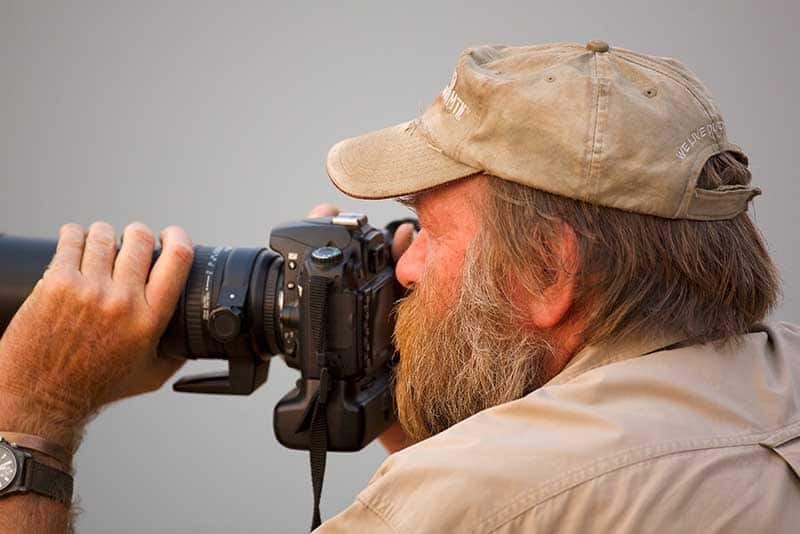 Stretch Ferreira Safaris is run and operated by Stretch Ferreira – a professional guide with nearly 4 decades of guiding experience. 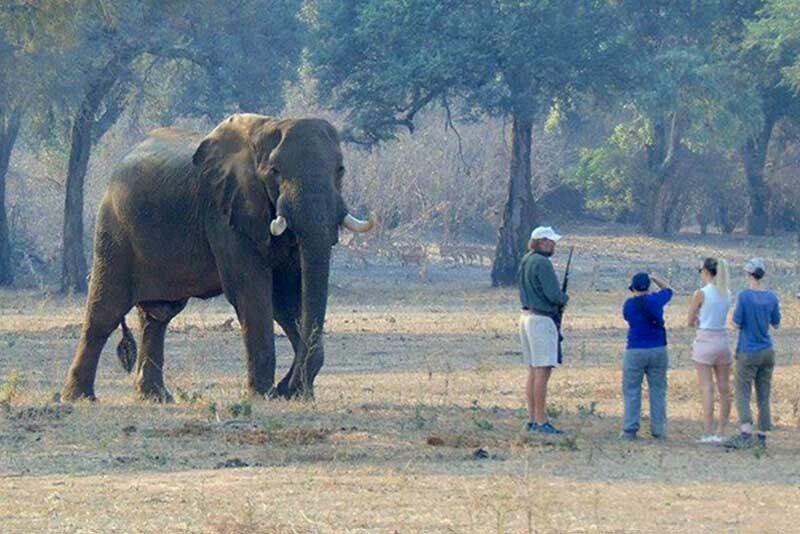 Known as “Father Mana” by the Zimbabwe National Parks team, because he has been in the area so long, Stretch has a close relationship with individual animals in Mana Pools National Park. 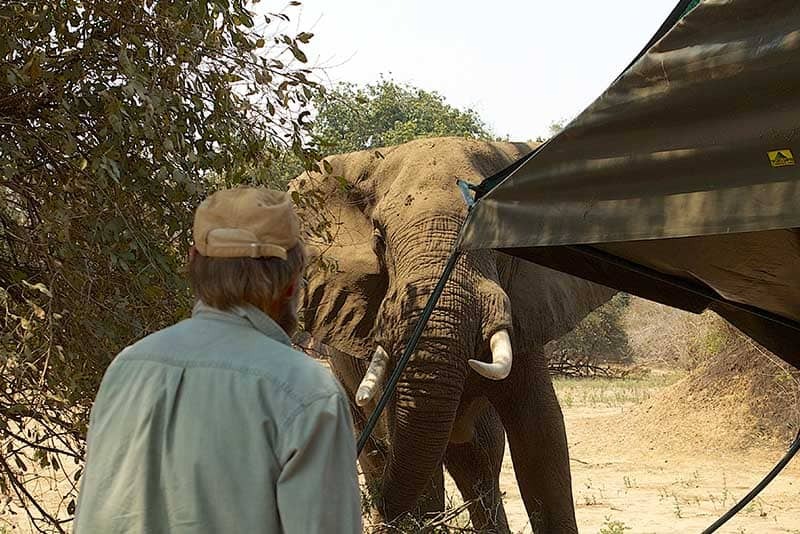 A safari giant – both for his experience and his 6’6″ frame, Stretch offers unique and personalised safaris for a once in a lifetime experience. Explore below and S.T.R.E.T.C.H your imagination! “Okay guys, let’s get serious!” This safari was an adventure of a lifetime. Stretch is a legend. Our days were checkered with adrenaline-filled adventure, laughter, and passionate discourse on how to conserve these beautiful creatures that surround us. How many people can say they’ve been surrounded by hippos while tracking lions?! We will forever hold this magical experience in our hearts". "The second visit within six months and that says it all really. Up close and personal with the wildlife (and the humans!) Spine tingling encounters with hyena, lions and wild dogs – this is my favourite safari camp in Africa. Special thanks to Stretch and his great team, Paul, Megan, Reuben and all the staff. Thanks to David, Andy, Peter, Niaz and Ellen for the great company". 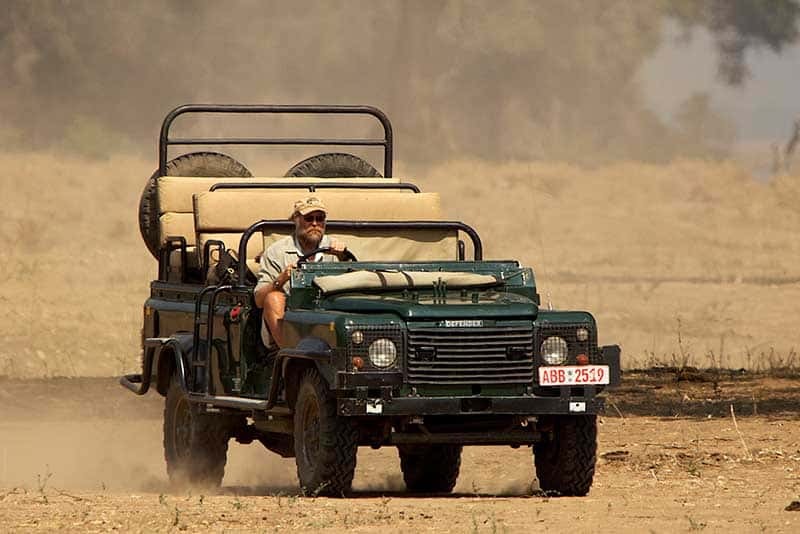 "What an amazing experience for our first safari in Africa. We can’t decide which part was our favourite… sitting so close to an elephant or being terrified by a lion! The painted dogs and the wonderful sunsets all were perfect. Thanks too for the friendliness and warmth from everyone. The food too was delicious. We are sad to be leaving and hope to come back soon! PS. Hyena encounters amazing!!!" 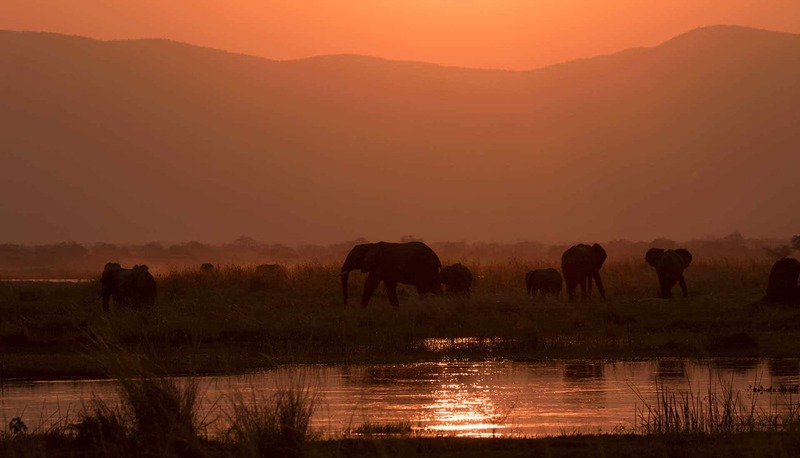 "An elephant in the dining room, python in a shower, hippo by the tents at 4 am and finally lions tracking buffalos right through the camp on our last night…. “one would call” it one with nature! Thank you, Stretch, Megan and he team for looking after us so well. Memories for a lifetime have been created". "Pure Magic with so many characters – 2 and 4 legged kinds! Perfect birthday present mixed with magic, indescribable moments with elephants and lions, stories and characters. Perfect level of comfort, location and food. Stretch, Alistair, Paul, Rueben & Canaan were all most welcoming and easy people. Thank you."